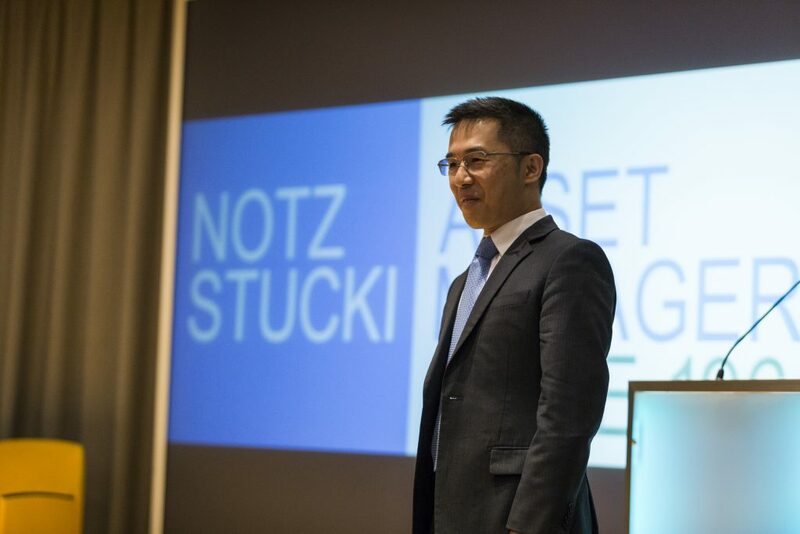 In his unusual confident and open manner, Ronald Chan of Zeal Asset Management in Hong Kong approached the audience at the Notz Stucki summer conference in Geneva with a wry smile. ‘I don’t need a mic’ dismissing the attendants offer. “I’m sure everyone can hear me just fine.” We could hear him loud and clear, no issues there. Once raucous laughter had passed, it was hard to characterize Chan’s job explaining to a Western audience the complexities of China, as ‘easy’. The Chinese dilemma is one we’re faced with every day: China is too large to ignore but too scary to invest. “Return on assets in China is in a downtrend” states Chan and goes on to add “Post the global financial crisis, the government asked banks to increase lending by RMB 4Tr mainly for infrastructure projects. Most of that money was allocated to large government owned public works companies with very little going to consumers and SMEs. The old economy benefitted greatly from this surge with very little going to the new economy. It also meant that banks had no experience whatsoever lending to consumers and small businesses which is a deficit felt still today which is unfortunate as the ROEs for new businesses are growing whilst they’re falling for their infrastructure counterparts. On a positive note though it has favored the survival of the fittest in the new economy as companies in that space are now very well run with low amounts of leverage”. The Chinese government is aware of this at least according to Chan and are attempting to redress the balance. They have tried to cut overcapacity in certain industries (i.e. 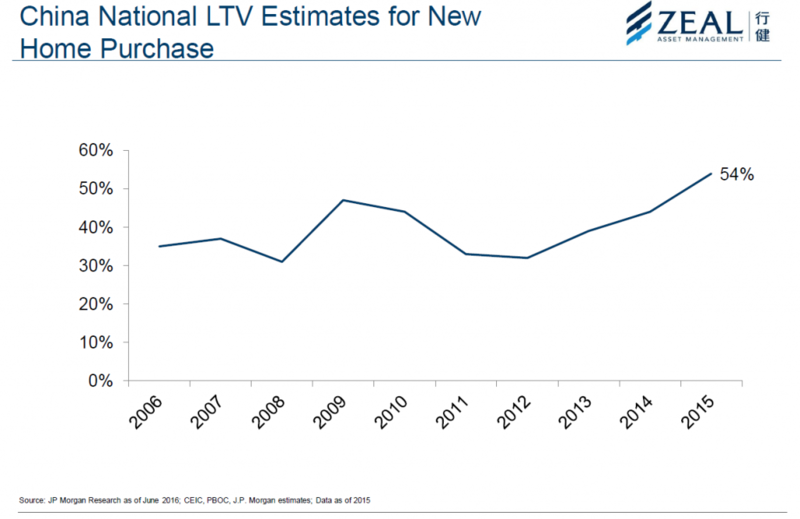 iron, coal etc…), inventory levels, leverage and costs. Reforms are therefore structured around the following: SOEs, the market, taxation, rates (i.e. free floating and decided by the market), and education. 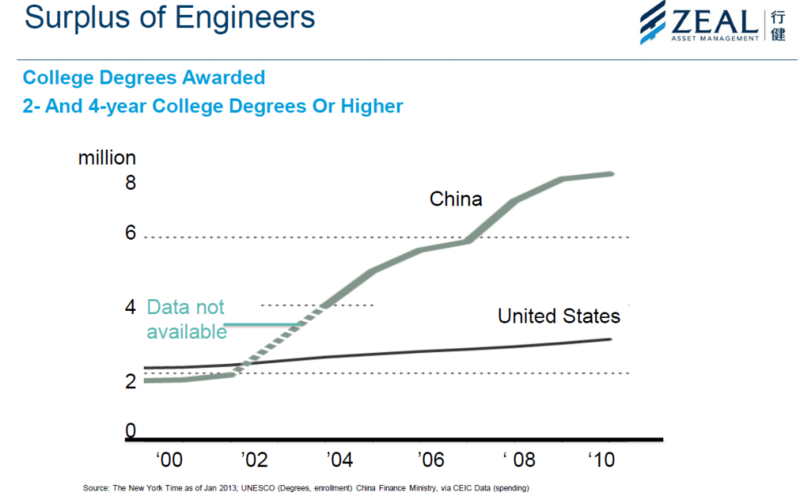 On this last point, Chinese tiger moms and lion dads are sending their children to study abroad more than ever and the country now has an engineering surplus where R&D spending has overtaken Japan for the first time. Chinese companies have clearly gone up the value chain. According to Chan. GE now buys 50% of the gearboxes for its wind turbines in China. “The other point of contention that many investors are worried about is the Chinese property market, and how a bubble in price could bring down the whole banking system” states Chan. “It’s now time to look at potential RMB devaluation as this is another hot button in the West” continues Chan “Countries that have devalued in the past were all running large current account deficits. In the 80s it was Latin American countries, in ’97 it was ASEAN and in ’08 it was Southern Europe that should have devalued. In every instance, import levels were higher than exports not earning the countries enough foreign currency. 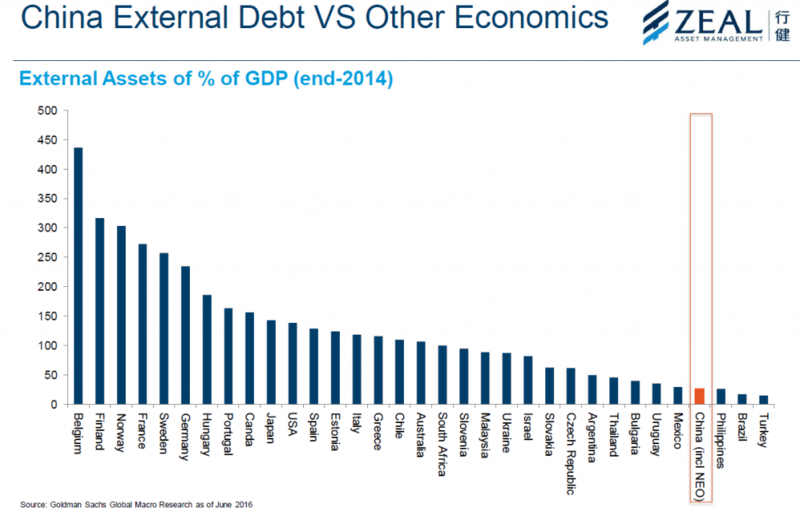 As foreign creditors demanded to get paid, these countries had to shrink their economy to have enough to pay them which only exacerbated the problem. China is in a very different posture and have been running a surplus for 15 years now.” And goes on to add “they will never have a problem paying foreign creditors as the Chinese have none” opines Chan. To illustrate this point, Chan mentioned as one of his favorite long positions a surveillance camera company which was one of the leaders, taking market share form most of its large western competitors. It has net cash of 40% of equity, 30% EPS growth this year and trades at a paltry 14.8X 2016 PER. It also spends 7% of its sales in R&D… a good example of some great and overlooked names in the region. Chan was loathe to short any old economy names (trades are too crowded and their problems well known) but talked to the problems facing Baidu. The Chinese search engine company tries to replicate Google’s success without being much more than a follower. It doesn’t have AI, its maps offering is incomplete and instead of driverless cars, it has a driverless bicycles. “Understanding full well China has more bicycles than cars, I really don’t understand how anyone would want to sit on a push bike’s saddle and just sit there without trying to control it. A great short in my view” concludes Chan.